How to Increase the Website Traffic in 3 Steps? Many people face the issue when their website’s traffic is super low and none of the strategies seem to work out as effective as you expect. No wonder that everyone wants to increase their website’s traffic – after all, this is what helps businesses and brands receive more revenues. If your choice of hosting services already seems perfect, pay attention to other aspects. To make your site more visible to your potential customers, you do not necessarily have to be an SEO expert. The only precondition you must have before is the right system proved on its efficiency. Based on our experience, we have come up with a 3-step guideline, which builds up a whole system to help you increase your website’s traffic in a present-day reality. By the way, if you want to be in the loop of the latest updates on apps, gadgets, technologies, web, software tools and many others, visit Trendinginfo.net and stay updated! If your goal is trying to increase your website’s traffic permanently, the best way to start with is optimizing your content. First, you have to go off of your current traffic stats. 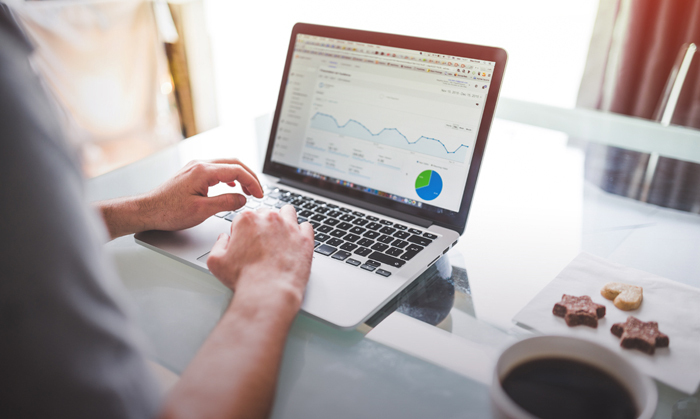 You may use Google Analytics to track your traffic at least for several days and get your report stating important data about the site’s unique visitors, page views, pages per visit, average time on site, bounce rate, traffic sources (direct, search, and referral) and exit pages. But don’t forget to check your traffic at least a few times a week, especially when you are testing new traffic strategies. Second, try out more efficient content marketing strategies. The best content marketing strategy includes various types of content, whether it’s visuals, blogging, statistics etc. When it comes to writing blog articles and titling your infographics, use powerful and catchy headlines that include effective keywords. Third, pay attention to the content – it must be compelling, high quality and easy to understand. In the other way, the audience will have no interest in reading non-interesting content. Start out with teasing introduction to catch their attention from the very beginning, user shorter paragraphs and even try to play upon their heartstrings through emotional personal stories. Finally, mix up your text with eye-catching photos and use internal linking to make people click on the other of your website’s pages. Make sure to use appropriate photo editing software to make the images on your website look thoroughly professional. Use various social media platforms and optimize them accordingly. Each of the platforms must look professional and contain your brand’s logo, title, description of your products/services and a link to the website. Write down the purpose of each of your social media post. Right along with the time of sharing your posts, you might want to specify the purpose of each one. If is it an entertaining content or an advertisement of your brand? Do NOT overdo. Sometimes, brands are getting too far trying to advertise themselves through social media and being too active. This, however, just pushes off people. Know your golden mean. Even after a meticulous SMM learning, the mission to increase your website’s traffic won’t be completed unless you do the final step – introduce your content to the new audiences. The best way to reach out this goal is getting more of your posts shared by other brands and even simply regular users. Just think how much time you can save if you do not write guest posts to other groups.